Abbey doesn’t remember who she was before the ‘accident’ but she does have vivid dreams of drowning as well as burning. As she tries to recover her memories in a mental hospital, her ‘aunts’ are preparing for her return to the Bastille. It is imperative that Abbey remember who she was and what she is capable of before the faire that the Guild of Immortal Woman, AKA Abby’s aunts, put on every year. This story’s plot line was so different from any other fantasy/paranormal/humor book that I’ve read. There were witches. There was a guild. There was a bad guy and a deadline. But everything in between these elements was surprisingly different. The writing style of switching POV and not tagging all the dialogue made it a bit confusing to figure out who was speaking at times. I loved seeing Abbey from other characters’ perspectives and to see the world through her eyes. This was a fun and interesting read. This novel was published by Book Publishers Network on October 12th, 2014 and is available on Amazon here. 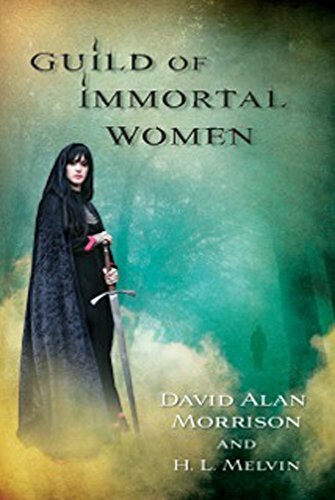 I read The Guild or Immortal Women a year (or so) ago. I really enjoyed it. I too was pleasantly surprised at the unique perspective.